Hypothyroidism is a kind of under diagnosed disease in rural area unless or until it reaches to the goitre stage. Biochemical diagnosis is an easy way to diagnose it in early stages. Good and reliable labs is a big challenge in rural area. Mrs. Patil is just one such patient for me.She was dealing with her primary infertility 2 years post marriage.She and Mr. Patil are a happy go lucky couple where Mr. Patil is a project manager where Mrs. Patil is a house wife . Before coming to us in month of march Mrs .Patil was suffering from sudden onset of weight gain ,irregular menses,change in voice,facial puffiness,lethargy,depressed feeling - all classical symptoms of hypothyroidism but due to lack of knowledge about it she never approach any doctor. Irregular menses was a regular complaint for her since menarche but no one ever investigate for her actual cause.Afraid of developing neck swelling and changed voice she approached my mother in law who is a practising OBG consultant and a generalist practitioner too.In rural area female patient still prefer a female doctor as they find more comfort with them. 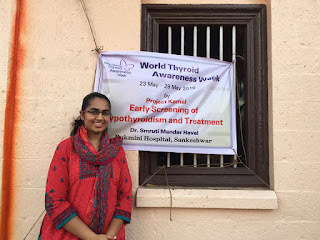 We at Rukmini Hospital,Sankeshwar diagnosed many cases of hypothyroidism in last one year as we find few symptoms are hypothyroidism are very common in this area. 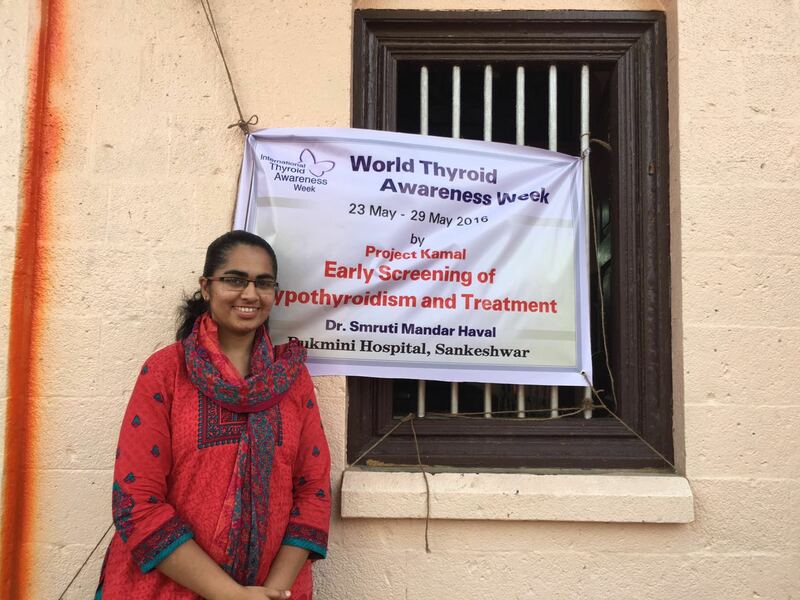 But Mrs. Patil was a classical case hence she immediately ordered a thyroid function test which showed her TSH > 150. As I deal with many hypothyroid patients now post my successful CCMTCD course from CDI,Pune my mom in law send her to me.The couple was very anxious when they mate me as they saw a young doctor sitting next to them.They were in doubt whether to continue with me or not as one of there fear was we practice in a family set up.Just to retain patient in set up my mom in law sent them to me. Appreciating there anxiety I stated my discussion with them and made them understand that its not a major disease but if we don't treat in time it can cause some complications .Also I made them understand that what ever symptoms she is suffering now are all because of hypothyroidism and once we correct that with thyroxine they will reduce. We started her with 100 mcg thyroxine daily and advised repeat follow up TFT after 8 weeks.After 8 weeks her voice was clear,facial puffiness was gone and her weight has also reduced but menses were still absent.We did few modification in dose and decided to wait for another 2 months as HP axis may take some time to adjust but still amenorrhoea persists. She happen to mention then that she usually resumes menses only when she used to get hormonal supplements from experts for same.Then I thought of PCOS and refer her back to OBG consultant to rule out PCOS and hormonal regulation of menses along with ovulation induction if indicated .To God's grace she did not have PCOS and responded well to HRT and ovulation induction.She is carrying now and hope will deliver a healthy baby. Take home message I learnt from this patient is patient education,counselling and in time diagnosis is very important.Only treating the symptoms superficially is not the only thing but going to the root cause is equally important. If prior physicians would have thought of hypothyroidism in her adolescent age she could not have reached this stage of severe presentation. Every patient is a new lesson to learn which we may not be able to learn in our medical school. 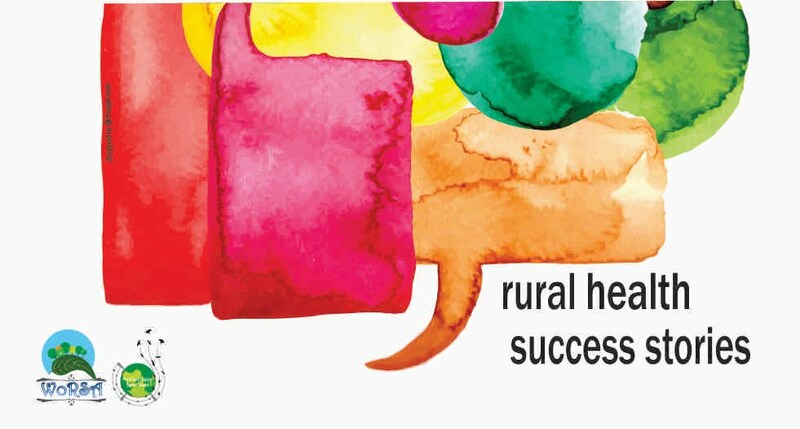 Suggestions for strengthening rural healthcare and Role of WoRSA:To create database or educational materials this will help primary care physician in rural area all over the world in awareness of about hypothyroidism. Our south East Asia belt is more prone for this as our soil lacks iodine. 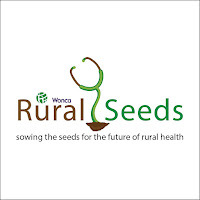 Good regular biochemical and clinical screening can help to reduce its prevalence.WoRSA can grant some screening programmes in rural area to improve rural people’s health. Great post. your information is very useful for me. Thanks for sharing the post.IVF Treatment in delhi is best gyane and infertility center. High blood pressure? What's that?